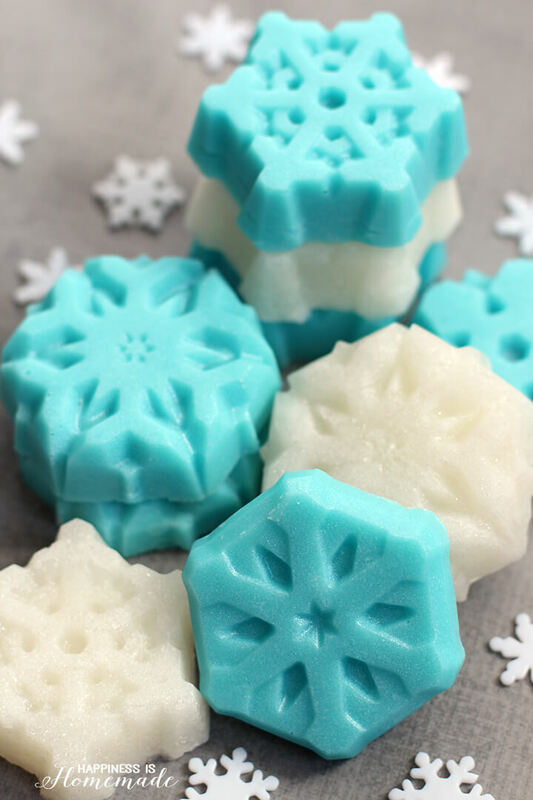 These shimmery snowflake sugar scrub bars (inspired by the movie Frozen!) are a super cute, quick, easy and inexpensive DIY homemade gift idea! 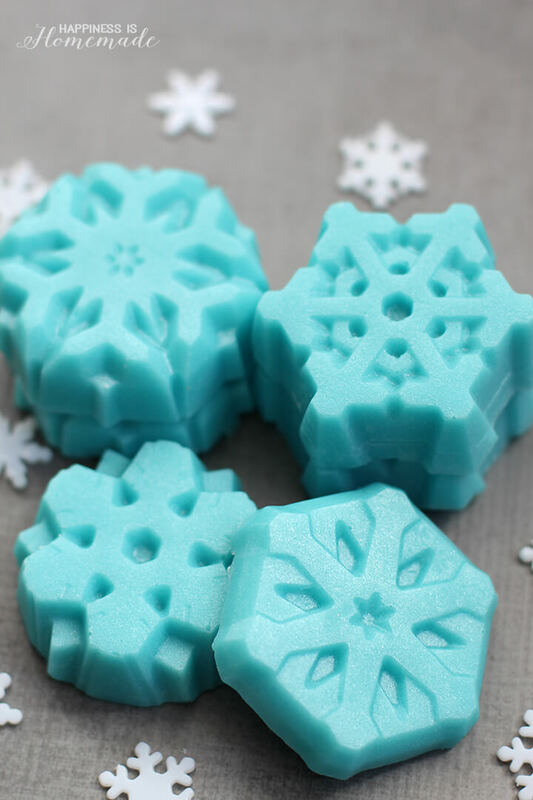 These sparkly snowflakes combine two of my most favorite bath & beauty products – sugar scrub and soap – into shimmering sugar scrub bars. 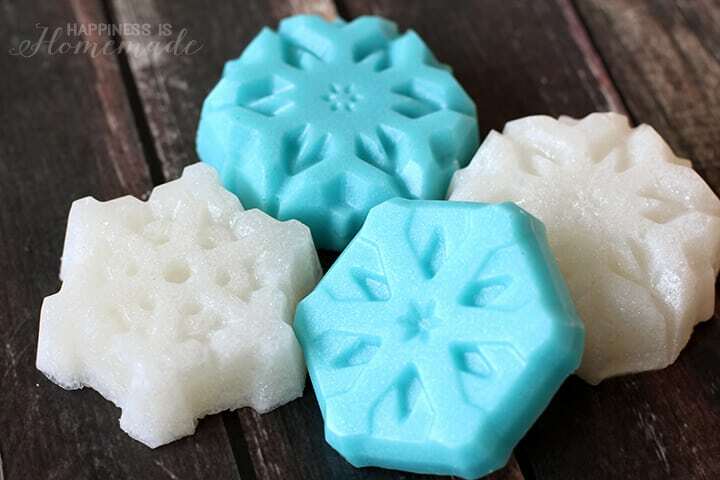 Perfect for exfoliating dry winter skin, these sugar scrub bars would make a fantastic holiday gift idea for friends, teachers, and neighbors! 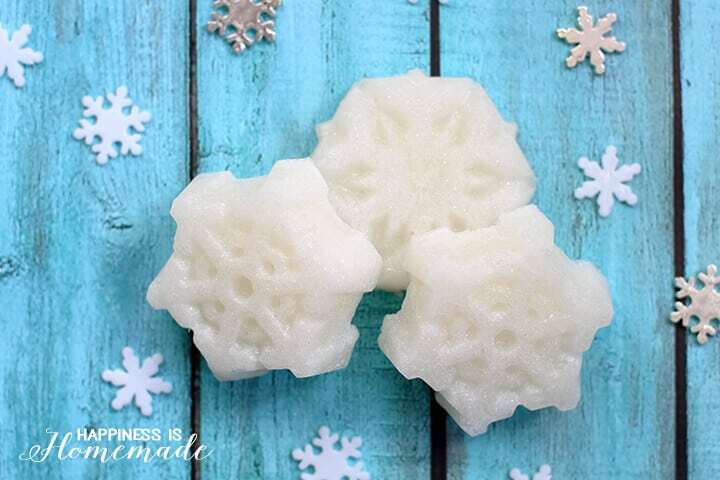 To create the white glittery snowflakes, I combined 1/2 lb of clear glycerin soap base with 3 tbsp. 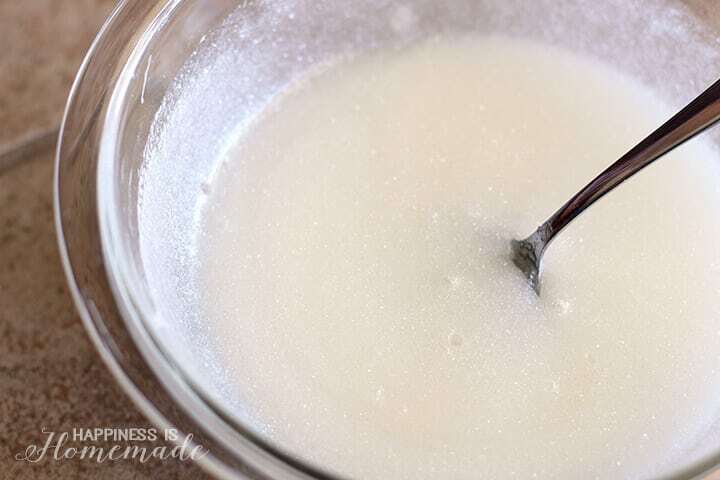 of coconut oil in a microwave-safe glass bowl. Melt the ingredients in the microwave in 20 second increments, stirring well after each one. 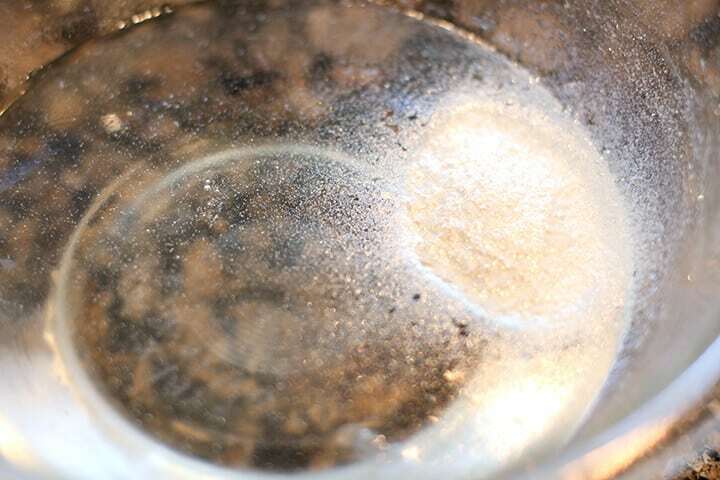 Carefully stir in one tablespoon of glitter powder and 1 cup of sugar. The result is an iridescent white mixture that sparkles and shimmers in the light. 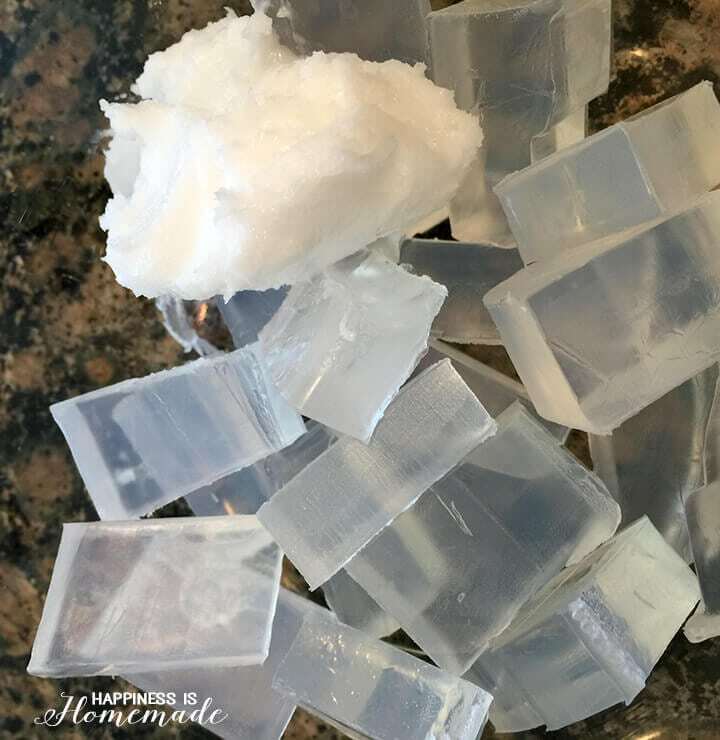 Carefully transfer the sugar scrub soap mixture into the snowflake mold and allow to harden (approx 30-60 minutes depending on temperature and humidity). 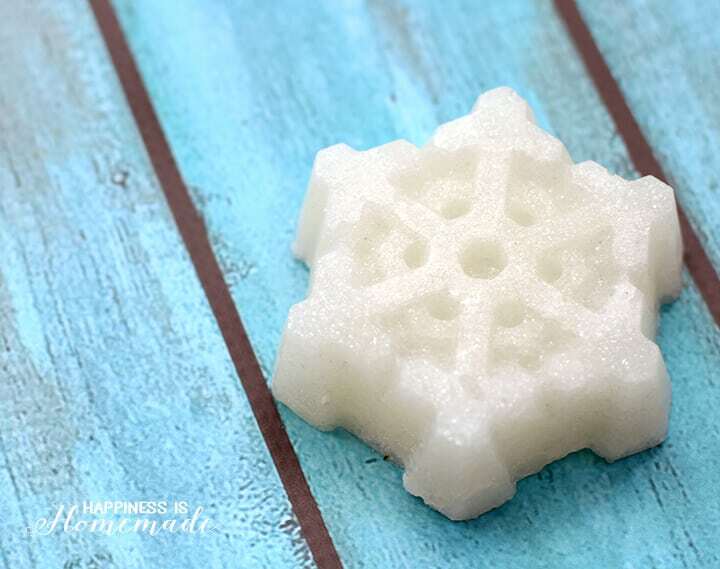 These sugar scrub snowflakes are so pretty with an incredible amount of sparkle (that’s SO hard to capture on camera!)! 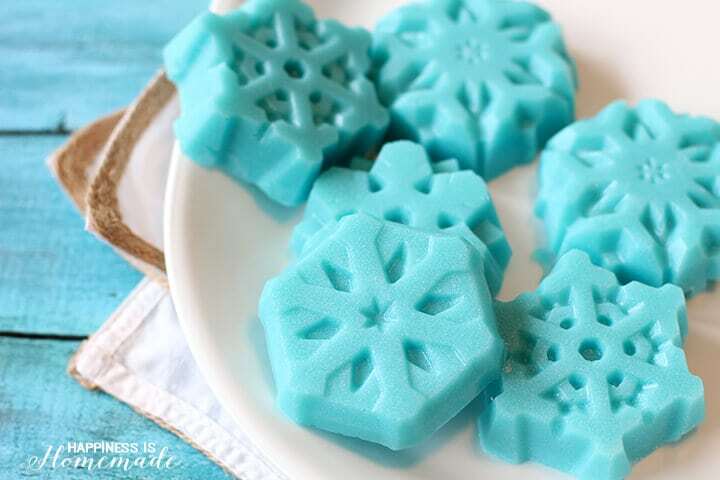 The snowflakes reminded me of the movie Frozen, so I decided to make another batch in Queen Elsa’s signature icy blue color. I used the same process as above, except I used shea butter soap base and added blue soap colorant and shimmer pearl powder instead of the glitter powder. 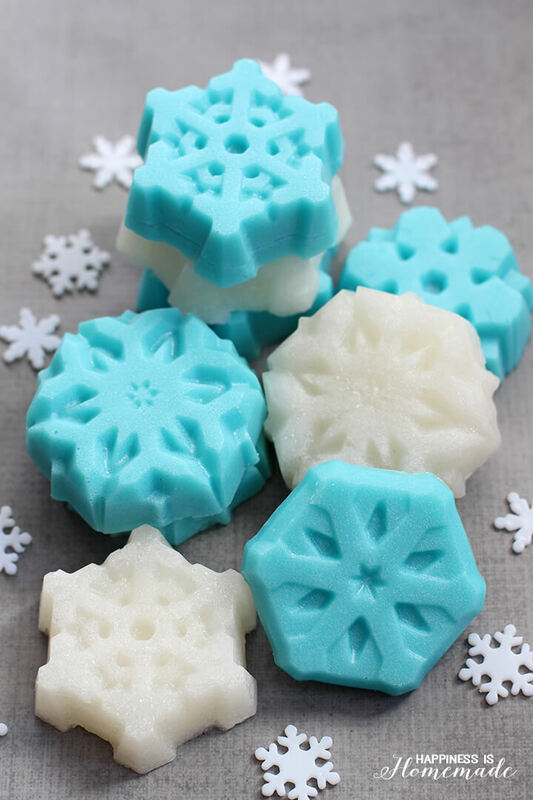 I couldn’t be happier with the results – a soft pearly blue shimmery snowflake that’s sure to be a hit with your favorite Frozen fan! 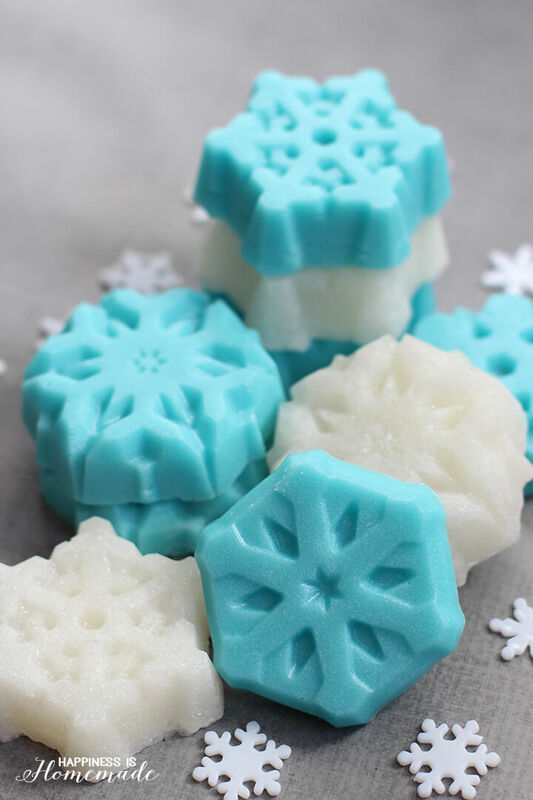 These pretty snowflake sugar scrub bars work just like you’d imagine a combination of sugar scrub and soap would – gently cleansing and exfoliating dry skin as you rub the bar over your body in the bath or shower. Note: these bars do dissolve faster than a standard bar of soap due to the addition of sugar and coconut oil. One bar will last approximately two baths/showers depending on size. Tie a ribbon around a small stack of snowflakes or package them in clear cellophane bags, and they’re all ready for gifting! 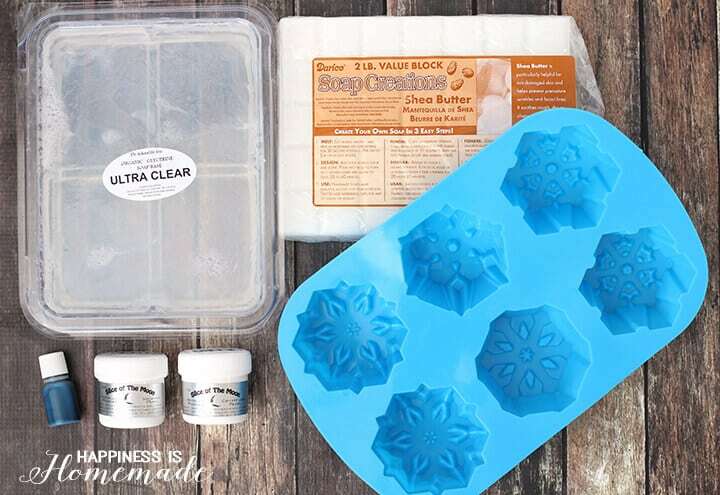 Does the recipe you listed fill only one mold tray? Where did you get the snowflake mold? Can you use regular glitter instead? Also I have glitter paint that would easily come off. How much sugar do you use for each batch?